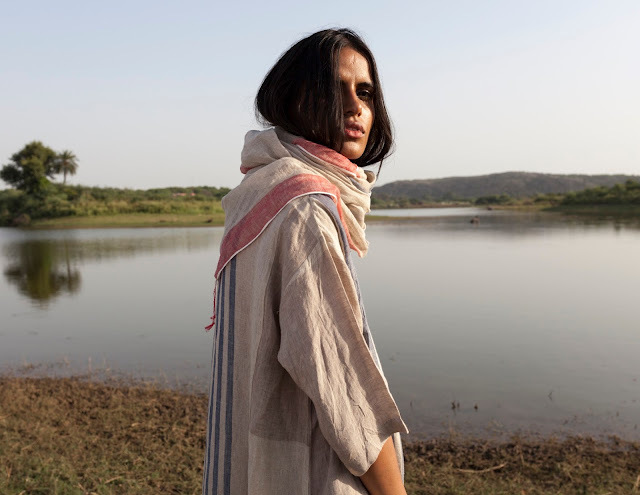 While her passion to create easy, effortless clothes that is textile and craft oriented is what makes Rina Singh of Eka a beautiful label to reckon with, I realised that at the heart of it, simplicity is what drives the designer in her. Simplicity of her art, simplicity of the silhouettes and simplicity in the translation of an aesthetic that has found resonance in the world’s mindset. Amidst the reams of handspun fabric stacked up in her workshop, the boxes of carved out blocks that have been enlivening the little drawings of flora and fauna on her feminine garments (her sprint summer collection in subtle hues of beige, white, green and blue and ready to be shipped to the several boutiques she sells from) and the quiet subtlety with which Rina makes it look all so easy, I located a painter at heart. A painter who is still fond of the pretty flowers around her, the warm haze of the winter sun and the belief that India’s riches are yet to be fully showcased before the world. 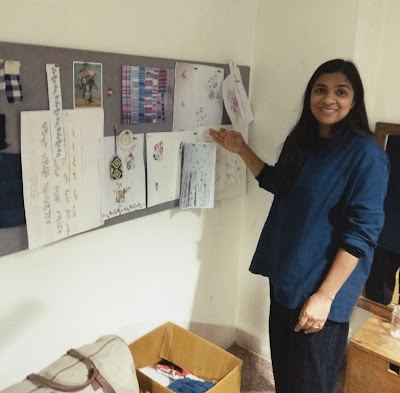 The swatches, the drawings, the bric-a-brac in her tidy little office, everything reflected this quaint part of Rina. As quaint and pretty as the clothes she creates. 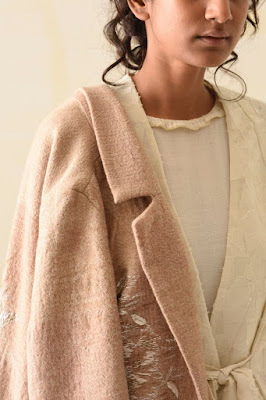 Skyrocketing into limelight ever since Eka was adjudged the winner in the womenswear category of the Woolmark regional round in 2016, Rina has never done anything that she did not identify with. 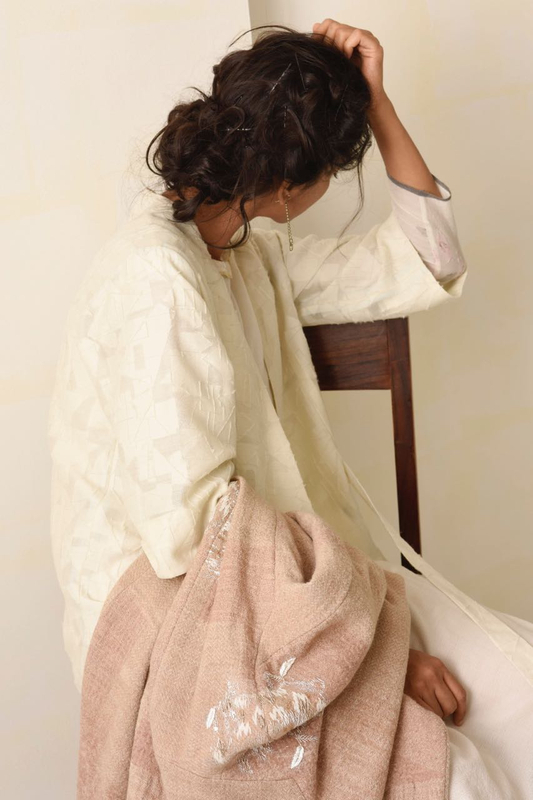 In a country where the fashion is largely synonymous with trousseau and wedding couture, Eka’s clothes are subtle, simple yet so beautiful. If you look closely, every garment has been created with love and passion. 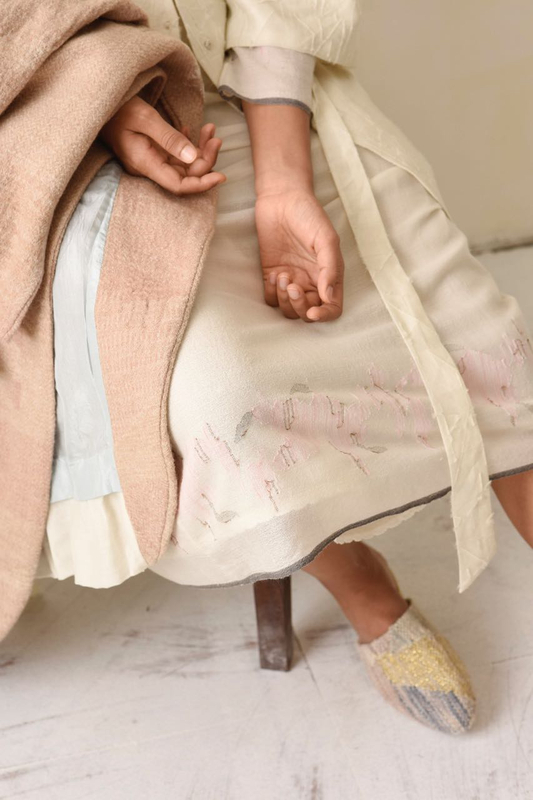 The cuts, weaves, silhouettes and block prints are all too minute and intricate to not evince an awed reaction towards this house championing sustainable fashion. A graduate from the Wigan and Leigh College, UK, Rina works mostly with linen, mulmul and khadi and beautifies them with innovative block prints. Her Woolmark showcase was a sublime tribute to painter Amrita Shergill using jamdani and Merino wool in soft pastel shades. 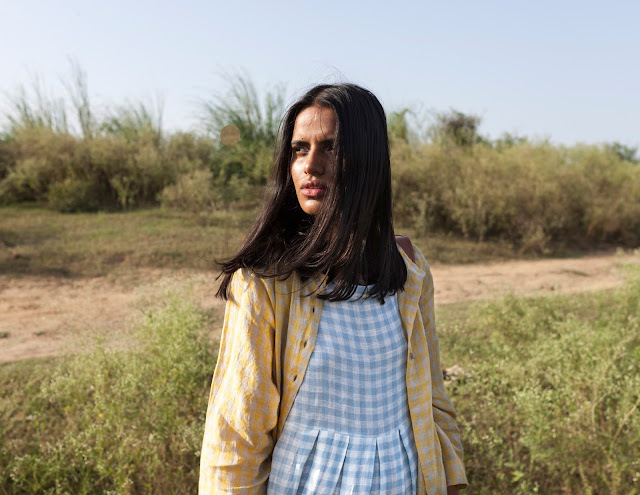 “The dresses, feminine in their look and feel, were Indian in soul but global in their appeal because my muse was an internationally loved and revered figure and the clothes took from the chapters of her life, spent in India and Paris. It was a collection that relied on interpretation and that was what enhanced the appeal,” Rina explains. Some of Rina’s earliest memories growing up are of summer afternoons spent with her sister, twisting yarns together between their toes. 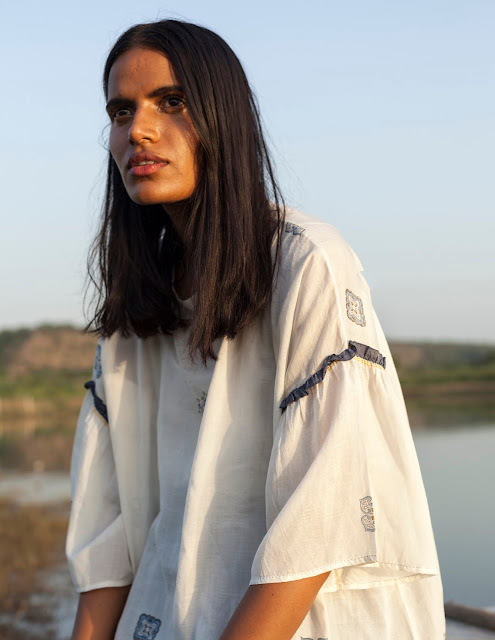 Her maternal family lives in a big house in Pansar, a village in Uttar Pradesh, that used to be filled with craftspeople every summer. 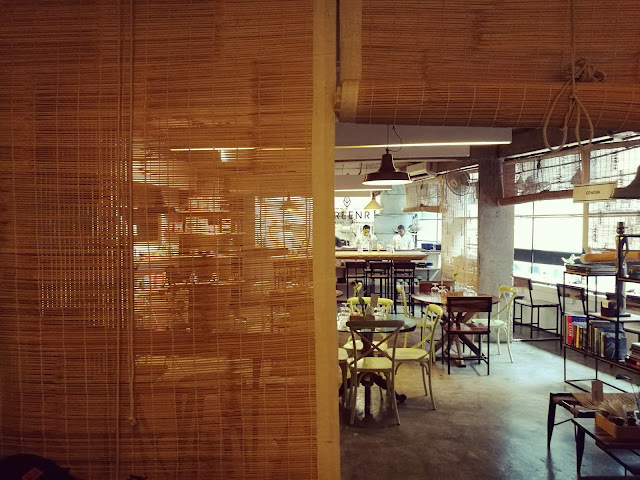 “Local weavers would stay with us for two weeks to set up a handloom and weave big dhurries on the patio, using yarns my nani and other elderly women in our family handspun on the charkha in their spare time. It was a magical time,” she recalls. Other than embracing the responsibility of her son she also learnt resilience and acknowledged the fact that this was not a life for her. She left her marriage in 1997 and joined Wigan & Leigh College (WLC) in New Delhi on a scholarship. “In retrospect, the mentorship of Archana Shah, who initiated the crafts movement by integrating age old crafts with ready-to-wear fashion, and my internship in Bandhej in 1998 were important learning experiences,” she elaborates. 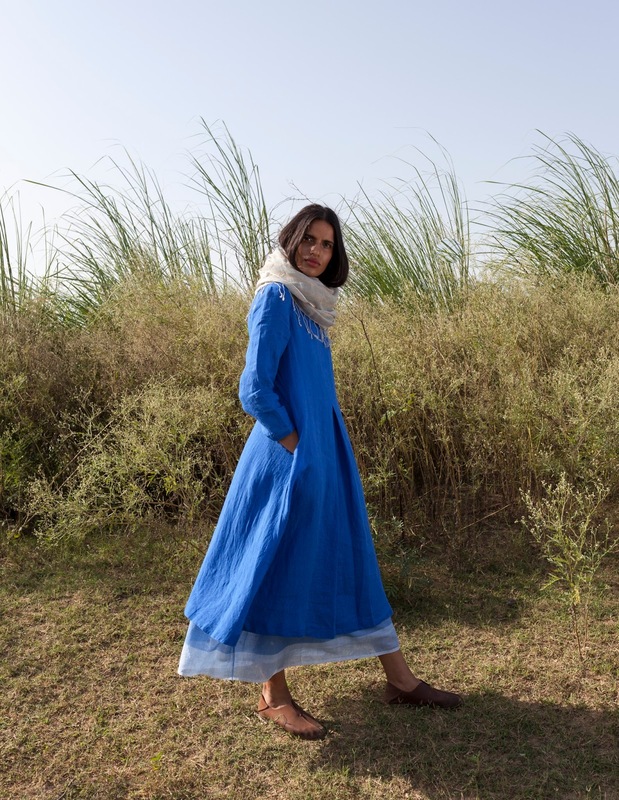 She met Sandeep in college and together they travelled the west coast of Gujarat – Bhujodi, Dhamadka, Mandavi and Anjar – meeting master craftsmen and, along the way, documenting their work. 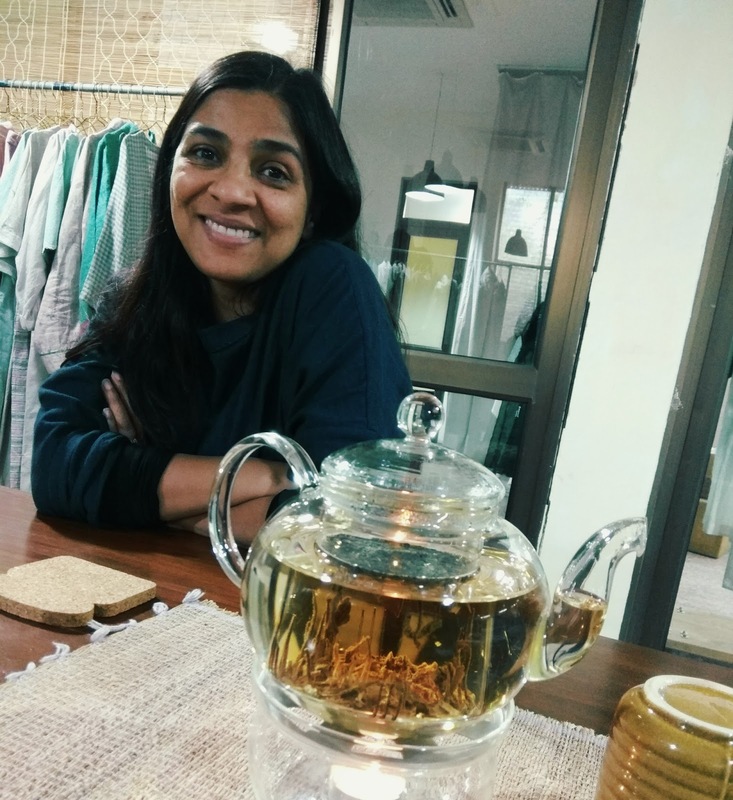 This was her first exposure to village craft communities from west India. 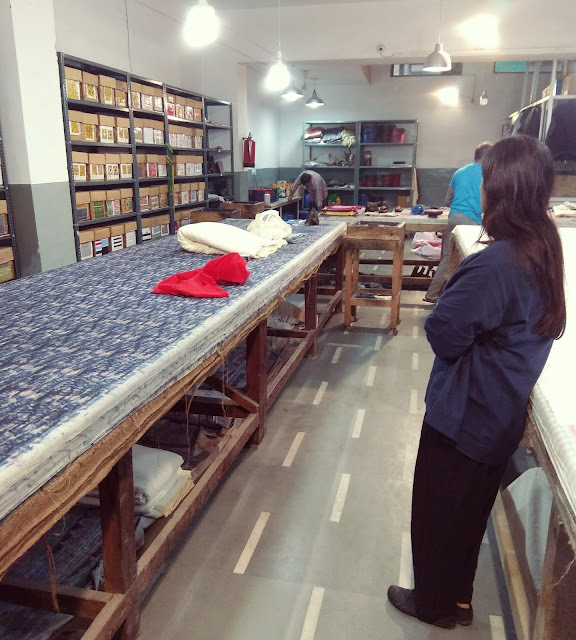 In 2009, she married Sandeep, who is now her business partner and the logistic giant at Eka. Even as I bid her adieu, I implore her to extend her art to the sari because I would love to don one. “Yes, I will. Soon.” And, going by how universal her creations are I know Rina will make the sari globally relevant too. Using soft khadi, mulmul and other handwoven fabric from the Indian hinterlands. And they will take a thoroughly exciting shape through an intricate block printed vocabulary. The sari will speak an easy global language. The triumphant language that Eka speaks all over the world today.